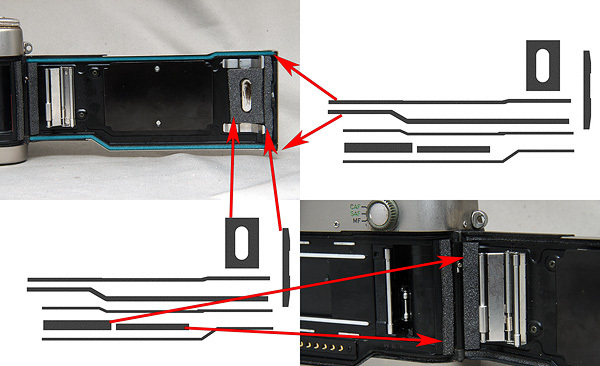 This is Contax G2 's Light Seals foam (backdoor gasket sponge), replace kit. This kit does not fit to Contax G1. 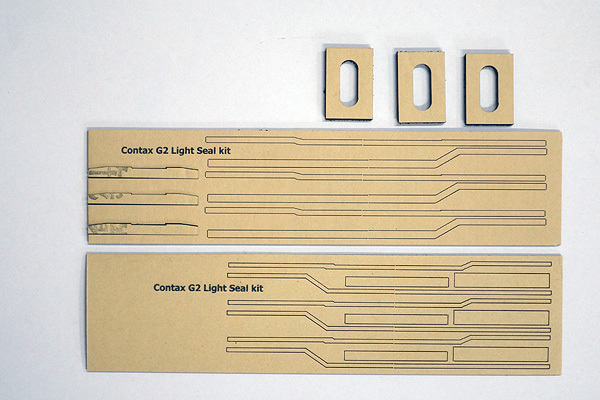 This seal kit covers whole Contax G2 cameras seals, shown as following images. Probably you do not have to install body gasket sponges as above image. The kit is provided as above image. Seals are self adhesive. 3 kits in 1 set, you can replace 3 units x G2 camera. Please watch above installation guide video before installation.